Quiet - The two-stage Copeland Scroll® compressor operates most of the time at the quieter, lower stage, changing over to the higher stage at higher outdoor temperatures to produce more cool air. A deluxe sound blanket also reduces compressor sound levels. Efficient - The Copeland Scroll® compressor and the copper 7 mm tubing with aluminum fin coils work collectively to save on energy. The Comfort Alert® II system has all of the standard Comfort Alert® features. Plus, it can alert homeowners to call for service before a problem develops by working with an optional Comfort Alert® II compatible thermostat. 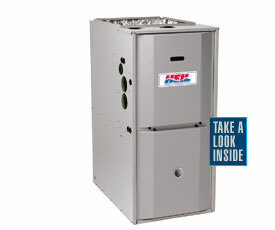 * Energy-savings up to 16 or 18 SEER exceeds federal ENERGY STAR efficiency standards. * Two-stage system reduces temperature and humidity swings in the home by heating and cooling more evenly. 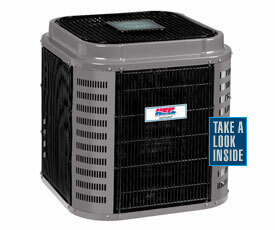 * 10 year No Hassle Replacement™ limited warranty gives you a replacement unit if the compressor or outdoor coil should fail within the ten years.